#OneDayHH is the ONE DAY on Instagram where thousands of people share what just ONE DAY of their life looks like in this season. A day-in-the-life...YOUR life! Remember that in order for your photos & stories to show up in the hashtag feed, your profile must be set to "public." The experience of participating with everyone is HIGHLY recommended, it really adds to the day. Many people set their profile to public for just ONE DAY (ha!) then set it back to private at the end. 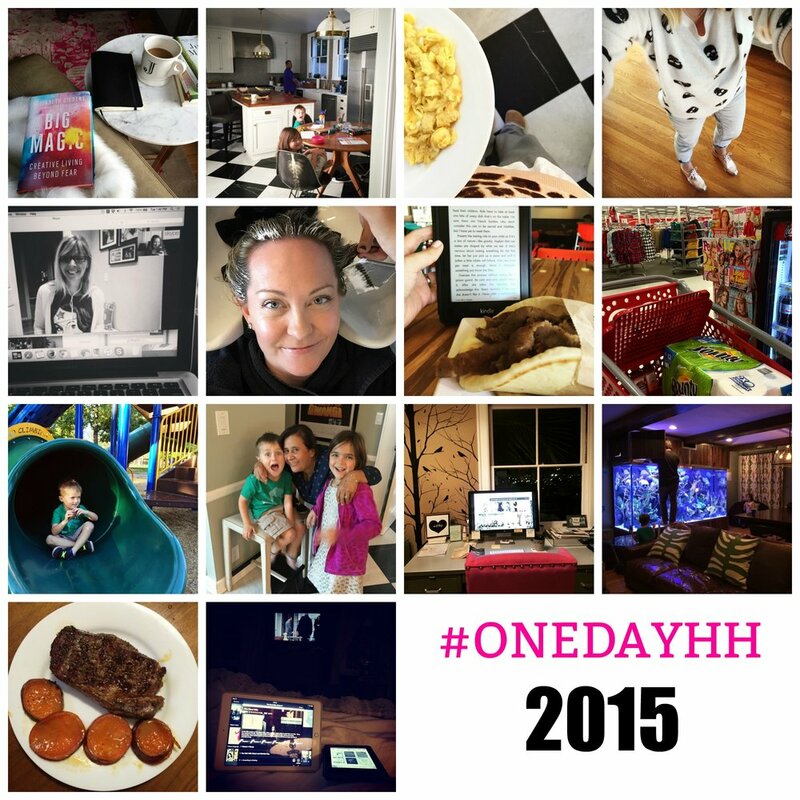 Liking and commenting on other people's #ONEDAYHH photos is part of the fun! It really does make the world feel a bit smaller to see people going through their regular ole day in real time. Even if you don't post it, it's fun to snap photos of the inside of your cabinet or your messy closet. Really capturing what life looks like at this very moment makes the whole experiment that much more special when you look back over the years. Consider making a photo book of your #ONEDAYHH photos. A service like Chatbooks will do it easily and inexpensively when you filter your feed by the hashtag. Even looking back just one year, I can see the differences (and similarities!) in what our days looked like then versus now. Life changes so much year-to-year, especially with kids. This was when we had both kids in preschool, and our days were a little less structured.